The Russian frigate Pytlivy, followed by Nikolai Filchenkov sail in Bosphorus, 24/08/ 2018. 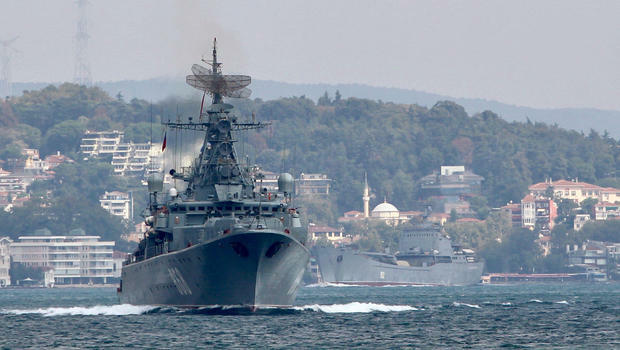 Russia will begin a major naval exercise in the Mediterranean on Saturday, the Ministry of Defense announced, a move the Kremlin said was justified by a failure to deal with militants in Syria’s Idlib province. Idlib and areas surrounding it are the last major enclave held by rebels opposed to Syrian President Bashar al-Assad, a close Russian ally, and a source has told Reuters he is preparing a phased offensive to regain it. “This hotbed of terrorists (in Idlib) does really not bode anything good if such inaction continues,” Kremlin spokesman Dmitry Peskov told reporters on a conference call. “The situation in Syria has a significant potential to become more complicated and the situation around Idlib leaves a lot to be desired,” he said after the announcement of the naval drills, which appeared aimed at deterring the West from carrying out strikes on Syrian government forces. Syrian Foreign Minister Walid al-Moualem met his Russian counterpart Sergei Lavrov in Moscow on Thursday, saying “we will go all the way” in Idlib and declaring the Nusra Front group, formerly the local branch of al Qaeda, as the main target. The Russian defence ministry said more than 25 warships and support vessels and around 30 planes, including fighter jets and strategic bombers, would take part in the Mediterranean drills which it said would last from Sept. 1 to Sept. 8. They would involve anti-aircraft, anti-submarine and anti-mining exercises. Ships from Russia’s Northern, Baltic and the Black Sea Fleets would take part as would vessels from its Caspian Flotilla. The ‘Marshal Ustinov’ missile cruiser would lead the drills. “In the interests of ensuring the safety of shipping and air traffic and in line with international law, the areas of the exercise will be declared dangerous for shipping and flights,” the ministry said. 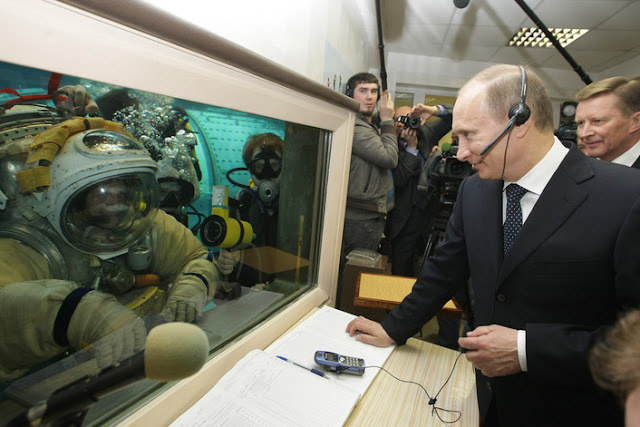 This followed the announcement on Tuesday of Russia’s biggest war games next month since the fall of the Soviet Union in the country’s central and eastern military districts. Russia has been expanding its naval forces in the Mediterranean this month, part of what a newspaper has called Moscow’s largest naval build-up since it entered the Syrian conflict in 2015. Anatoly Antonov, Russia’s ambassador to the United States, warned Washington on Thursday against what he called “groundless and illegal aggression against Syria”. Antonov said he had told U.S. officials Moscow was concerned about the signs that the United States was preparing new strikes on Syria. The United Nations has called on Russia, Iran and Turkey to delay a battle that could affect millions of civilians. U.N. Syria envoy Staffan de Mistura told reporters that there was a high concentration of foreign fighters in Idlib, including an estimated 10,000 terrorists, but it would be better to set up humanitarian corridors to evacuate civilians than rush into a battle which could turn prove to be a “perfect storm”.